What really makes Valentine’s Day happy? 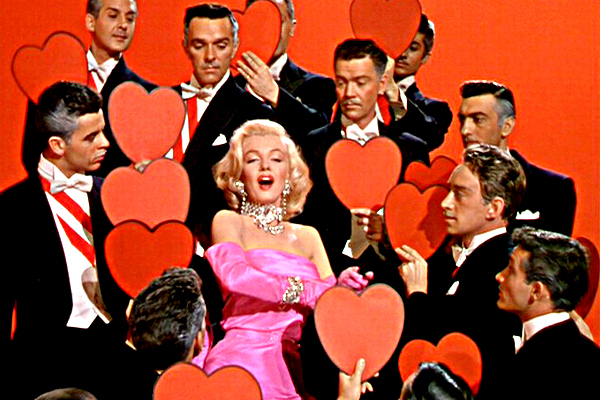 Is it being blonde and having a dozen men swoon over you? Maybe it’s being famous and hanging on the arm of someone equally famous? But, what about when you get old and no one wants to hold you up let alone swoon over you? Is it receiving a diamond after the romantic dinner at the five star restaurant you can’t afford? But is one diamond enough? And how many karats does it take to be truly happy? Is it falling in love and having that amazing chemistry for just one night? But, what happens when the night is over and you fall out of love? Come on! Own up! What woman hasn’t dreamed of being decked out in diamonds and a too tight gown with drop dead gorgeous men at her beckon call? I know I have. And the movie producers, marketers and advertisers are counting on the fact that you have too. But, what if your man doesn’t buy you diamonds, or look like Channing Tatum and he certainly doesn’t answer to your beckoning? What if you don’t even have a man? GASP! Let’s face it. We aren’t happy on Valentine’s Day because we’re too busy wanting something else we think will make us happy. We want to be blonde or brunette or whatever we aren’t at the moment. We want to be skinnier or more curvy. We want the little black dress to be little, not a size 16. We want a five star dinner, not the Olive Garden…again. We want a romantic cruise to the Caribbean, not an overnight at Days Inn. And we want our man to be Brad Pitt, Tim Tebow, Josh Groban and Francis Chan all rolled into one. Instead, we have…well…just our average Joe. Shame on me! Shame on you! We’re so busy wanting what we don’t have that we can’t have any kind of true joy in what we already got! It took me more time than I will ever admit and more hard lessons than I ever want to do again, but I think it is finally sinking in. There is only one way to be truly happy on Valentine’s Day and that is to know the One Who makes the heart glad no matter what day it is, no matter what the circumstance is and no matter if anyone else even cares you exist. This One, this Jesus is a shelter and refuge to those who love Him and exult His name. Now that’s something to sing about!